There is no clash between grace and works. Both are undeniable biblical concepts. Christians are “saved by grace through faith” (Ephesians 2:8). They are also created to do good works and must be obedient to the Lord’s commands (Ephesians 2:10; Acts 6:7; Romans 1:5; Romans 6:17). 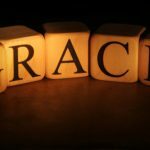 Any clash between grace and works is man-made and just plain wrong. We all sin. It’s not absorbed from someone else; it is not hereditary. “The soul who sins shall die” (Ezekiel 18:4). “The wages of sin is death” (Romans 6:23). All have sinned (Romans 3:23) and none is righteous (Psalm 14:1-3; Psalm 53:1-3). Sin is the horrible dark bond that every person shares. The upshot is that we are neither deserving nor worthy of salvation. We are corrupt and saturated with sin and cannot be in the presence of the Holy God for even one second, not to mention an eternity. It’s natural, especially in our culture, to think that with enough work we can overcome and fix almost any problem. Advances in science have given us the idea that we can conquer any obstacle. It’s a nice thought, even comforting, but it is just wrong. We cannot fix everything. Just like there are some illness that cannot be overcome even with the finest healthcare, there is a spiritual problem that cannot be overcome. That illness is sin. Speaking of our salvation as a work of grace, Paul says “this is not your own doing; it is the gift of God” (Ephesians 2:8). Our works do not justify us as worthy for salvation (2 Timothy 1:9; Titus 3:5). When all is written we are still unworthy. Jesus said, “Does he thank the servant because he did what was commanded? So you also, when you have done all that you were commanded, say, ‘We are unworthy servants; we have only done what was our duty’” (Luke 17:9-10). The servant’s work and obedience were expected; that was their duty. As the servant in Jesus’ parable above, we do our duty. When God determined to bring a massive flood to destroy the terrible wickedness on the earth, he made Noah the object of his grace (Genesis 6:8). Then, God gave Noah a plan of escape. He warned him and told him how to escape. However, it was up to Noah to obey. God did not tell him where to find an ark, nor did he remove him from the earth. Noah survived because God showed him grace by giving him a plan and then because he obeyed the plan (Genesis 6:22; 7:5, 9). Consider Abraham who was the object of God’s love and affection. Abram was told to leave his home and travel to a place that God would command. What did he do? He obeyed (Genesis 12:1-4). It is by his grace that God teaches us to avoid the coming destruction (Titus 2:11-14). Like Noah, we humbly and gratefully accept this grace and are trained to obey. Could Noah have thanked God for his grace and then refused to build the ark? Would he have been spared? Could Noah have graciously accepted God’s direction to move but remained in Ur? Would he be called the father of the faithful? Can anyone be called faithful who lives in rank disobedience to God? Of course not. How horrible to divide God’s plan by removing grace or by knifing obedience from what God has said! John was clear: “whoever does not obey the son shall not see life…” (John 3:36). The Holy Spirit is given to the obedient (Acts 5:32). Put negatively, those who do not obey will face wrath (Romans 2:8). Those who do not obey the gospel will face the judgment of the returning Christ (2 Thessalonians 1:8). Let us handle God’s word with respect and seek to understand it all. Next post: Are the Disobedient Saved?